About Convenience-Concepts Inc Bringing functional and affordable furniture to homes, Conceptual-Concepts Inc. is dedicated to focusing on the finest designs and economical overseas manufacturing in contemporary furniture. 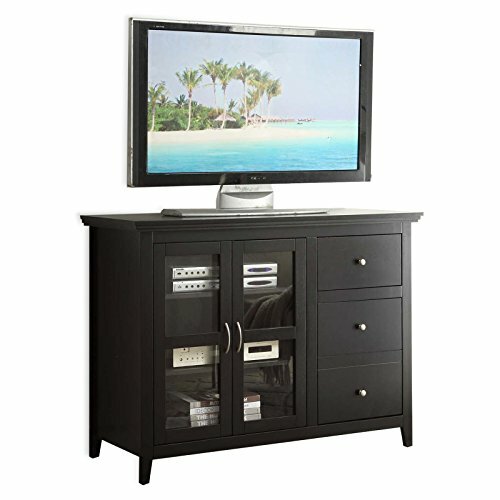 Their efforts are guided toward R-T-A entertainment centers, TV stands, storage, and accent furniture. Be sure to view their entire product line. 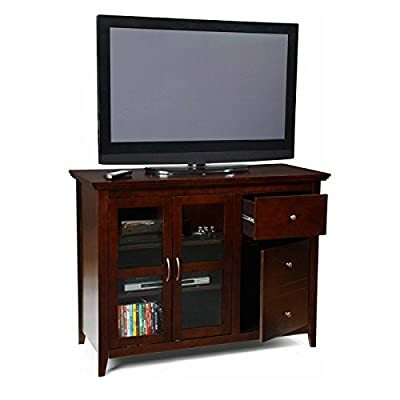 Traditional styled TV stand in rich espresso finish. Constructed of sturdy and durable wood. Includes a storage compartments with 2 hinged glass doors. Also includes a drawer and an enclosed cabinet. 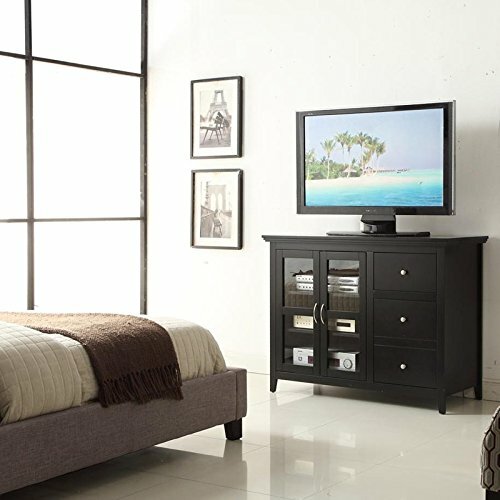 Holds most flat panel TVs up to 48 in. wide. Some assembly required. Dimensions: 48W x 20D x 36H in..